We specialize in the removal of nuisance pigeons and birds from property, homes and buildings in the Cincinnati area. We offer a wide variety of services from attic inspections to damage repairs, and can resolve any human-wildlife conflict. We are fully licensed and insured in the state of Ohio, owner-operated, and fully proficient and equipped to handle any critter problem, start to finish. Please give us a call at any time and we will listen to your pigeon and bird problem, explain your options and our pricing, and we will schedule an appointment. Do You Have Pigeons Stuck In Your House - If you have a house or attic in your property, then you may already know that a lot of animals will try to get protection and find shelter in it. It makes sense that they do that because there are not that many people in a hay loft and they can nest there -especially pigeons. The problem is that these animals can also get stuck in the hay loft and not find an exit. Making noise may work, but on the other hand there is a possibility that the pigeons will fly around and not get out. In those cases, how do you get pigeons stuck in a hay loft to leave? If the noise and chase strategies are not working then it is time to get a little more creative. First, you should remove their nests so that they do not have an incentive to keep coming back. Next you should place a pigeon trap in the same location the nest was found and a couple of places close by. 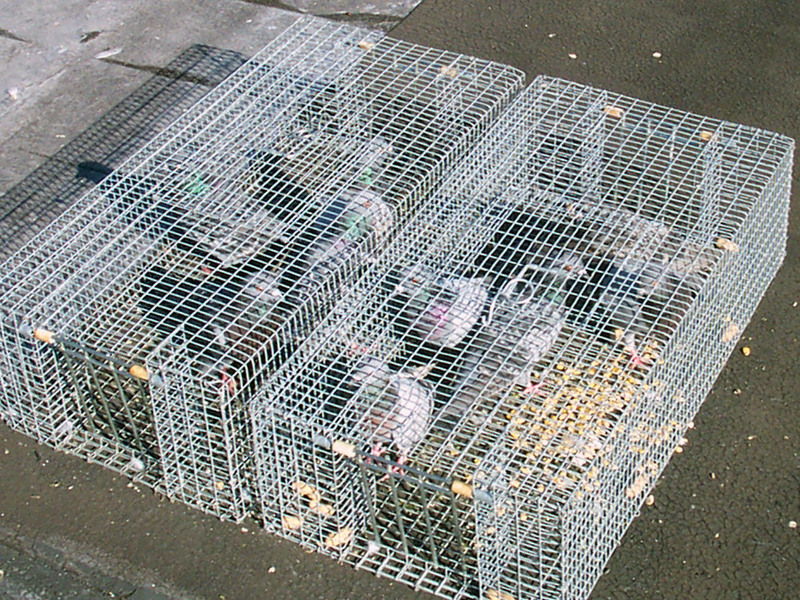 Use bird seed as bait, the trap should trigger either way because bird and pigeon traps are built differently. Once trapped you should release the pigeons far from your home so that they have a hard time coming back. We operate a professional pigeon and bird removal company operating in the Cincinnati area, including the towns of Covedale, Delhi Hills, Norwood, Maderia, Kenwood, Montgomery, Loveland, Sharonville, Springdale, Forest Park, Northbrook, Groesbeck, Brentwood, Mount Healthy, Finneytown, and more, plus Northern Kentucky, including Covington, Newport, and more. We specialize in the humane removal of pigeon and birds from buildings and property. We are fully licensed and insured, and operate 24 hours a day, 7 days a week. Call us at 513-906-4260.